Forex is a name which comes from Foreign Exchange, though sometimes it’s also known as FX. The Forex trading market is worldwide and it doesn’t have a specific center, it’s over the counter and anyone can swap or trade currencies, based on their values on the market. The trading Forex market basically allows people to change one currency into another, at a certain rate of exchange, which is active at the time of the transaction. Since there are so many currencies involved in the Forex market, this is one of the hardest forms of trade and it has a huge effect on the economies of the countries involved. Below you can learn a bit about how the Forex market works and about trading Forex. The basic mechanism behind the trading Forex market is not hard to understand at all. 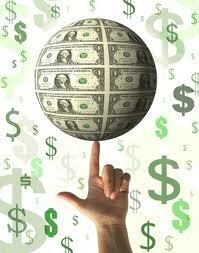 With each currency you get a certain rate of exchange which is used when you have to convert it in another currency. One example would be exchanging a USD into EUR, at an exchange rate of 1 USD to 0.702 Euro. Even though this is considered to be a conversion, the transaction is known as a Euro purchase, since you’re trading your USD currency for Euro currency. The base currency is the name given to the currency which was used during the trade for the purchase. The currency which was bought during the trade is given the name of quote currency and in this case it was the Euro. The Forex trading market works worldwide, and it’s opening hours are nonstop, from Sunday at 20:15 GMT to Friday at 22:00 GMT. If you want to invest in the Forex market, you either have to be a licensed broker, or you have to use one and pay him a commission from the trades you’re making. You should keep in mind that certain government bodies, like the US Securities and Exchange Comission will have some rules you need to follow when you’re trading Forex, so you should learn what the rules are and make sure you respect them at all times as you’re trading currencies. Wondering how one can start making a profit with the help of Forex trading? Well, currencies will generally be influenced quite a bit by two economic corollaries which are universal and in this case the nation’s economy doesn’t matter. The first thing which will influence the value of a currency is the amount of growth and performance of that country’s economy, compared with the base currency. Another thing which will influence that value of the currency is the development, the exports, internal banking system, disasters, wars, terrorist attacks, companies and so on. There are a lot of things which can influence the exchange rate between the nation’s currency and the base currency to which it compares to. Since the conditions I’ve mentioned above can have an effect on both the quote and the base currency, you can profit from Forex trading by employing a number of measures. One example of a measure which can be taken is that once you get an investment in the quote currency, wait for a raise in the market value, after which you will have more power of purchasing, so you can purchase another currency, or you can buy back the original base currency. When you tend to invest in an economy which is rising, you get a position where you have a high currency value. Another thing which you can do is waiting for the base currency value to drop, after which you can buy more of it, with the same money. Once again, your purchasing power is increased, but in this situation you can’t get another currency. You can only get the base currency. The problem with trading Forex is that it’s not very easy to find out when you’re losing or profiting, since you’re basically bartering, not buying something with a fixed value. For this situation Forex traders use the BP and PIP concepts to find out how they’re doing. The PIP is also known as the Price Interest Point and it’s a change in decimals of the currency which is used as a base. The BP is known as a Base Point and it’s the increase in value which is not a decimal (dollar).